Become the lord and master of a real medieval castle! Accept new subjects, assign them to their duties, train and protect your men and women! Defy your rivals and laws of physics as you build and upgrade your fortress! 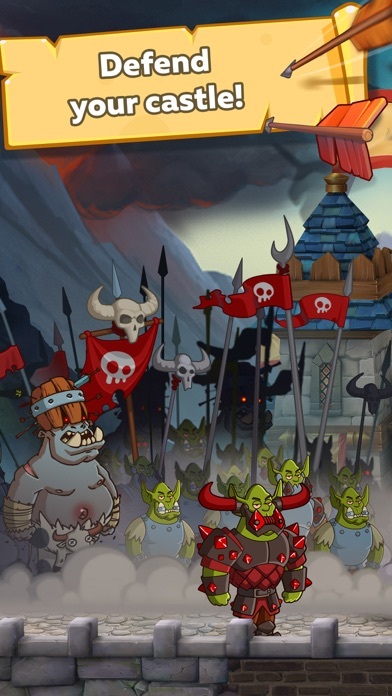 Your pudgy warriors look great in their shining armor! 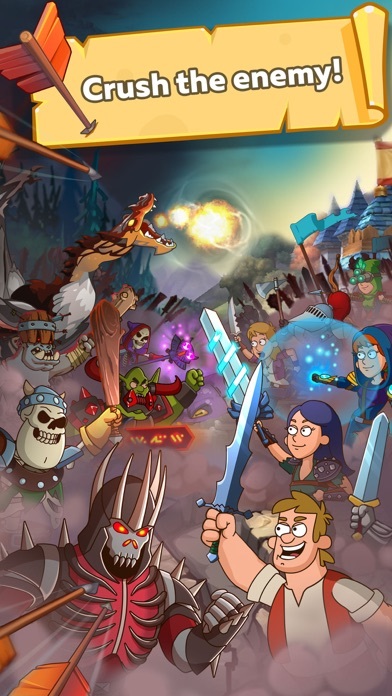 Nourish and train your troops, and they’ll crush the armies of Grav the Mighty Brainpan, find the shelter of the fearsome OM-NOM, put the Abyss Lord back in his place, and also burn down a couple of enemies’ castles! 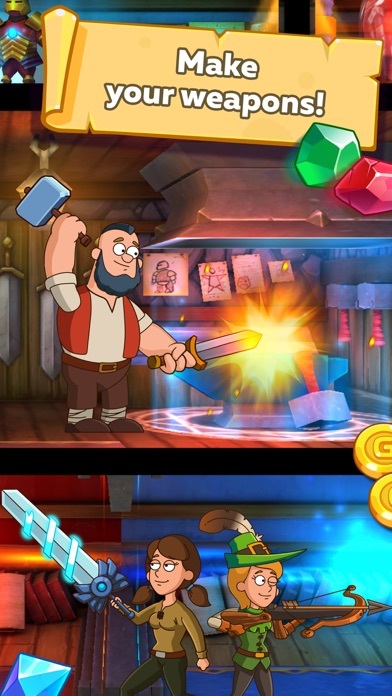 All day long your scribes scratch their heads with quills, treasurers spill coins on the floor and blacksmiths drop anvils on their feet for the sake of your prosperity! Prepare true specialists, become wealthy and influential! Build a dating room and watch your subjects have children who’ll soon grow up and serve you too! Assume command, my lord! Here are some of the opportunities you get in the game: - Story-driven campaign. 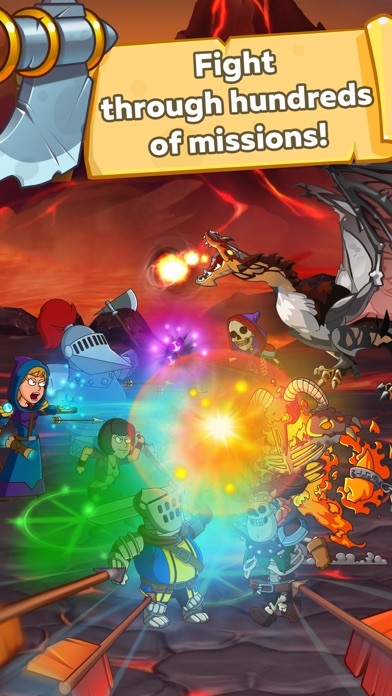 In hundreds of missions your heroes fight orcs, giants, skeletons and even dragons! Battle magic, cold steel and cunning strategy – the end justifies the means! - Castle construction. Build new rooms for your stronghold and upgrade the existing ones. You’ve got all you need to create a dream castle! Begin the construction now! - Developing the villagers. Each of your subjects can learn new skills and wear any equipment. Train great warriors and scribes… and then swap them with each other! - Multiplayer. Get medieval! 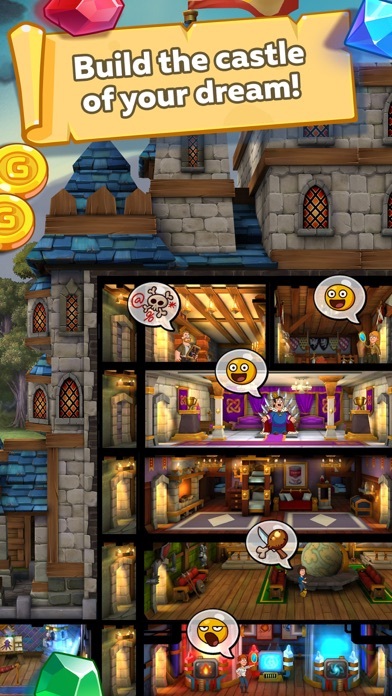 Burn and plunder the castle of someone you don’t like… And you don’t like all of them, right? Graphics look great, but it hounds you constantly to spend money on gems. Don’t get me wrong, I don’t mind in app purchases, but this is ridiculous. Literally the worst game about in app purchases pin the App Store. Every boss fight sells gear claimed to be at a discount but it’s a blatant lie because that’s the only way to get the gear and it’s always the same price so there’s no discount. Settlers have training caps based on their star level. The only way to increase that is to, you guessed it, pay gems. And lots of them. 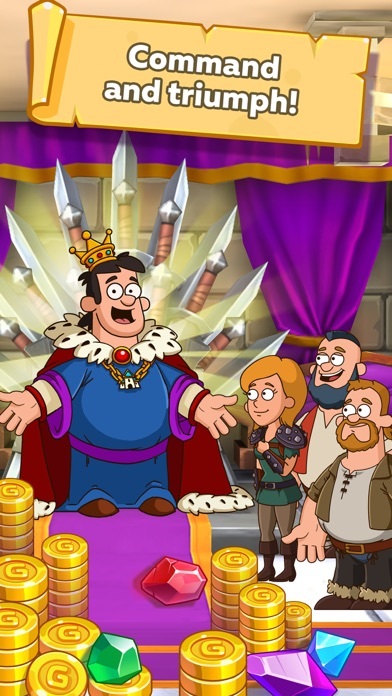 It can cost 2k gems for a single star on one character, which isn’t cheap when you can have six in your war party and that’s not even counting the dwellers to make resources for you. Your gear loses its punch really hard in the fourth area and guess what you do to get better gear? Buy chests with equipment. Leveling structures can take hours or days, probably weeks at higher levels and you start with one builder. And yes, builders cost gems too and they’re expensive. The first one to buy is 750. The average achievement in this game awards about 5 gems and achievements get exponentially harder to reach. (Literally, get 50 of something, then 250 of something. That’s 10 gems total.) And that’s not even ALL of it, ads pop up in your face regularly to pay to upgrade your rooms or buy packages at imaginary discounts, etc... Pretty sure the dev will respond to tell me the discounts are compared to other ways to get similar leveled gear but that’s false. Oh, and the ads... omg... fail a fight? Watch a video to get resources back. Want some currency in the arena? Watch an ad. Want a chest? Watch an ad. Want to open a “better” chest that sometimes gives you worse items than the other free chest? Watch five ads. Yes. Five. Quests require you to watch ads, too. Five individual ad quests and a single quest to complete five ad quests. Absurd. Accidentally dragged a character to the wrong room during the “learning how to play” section and it won’t let me go back. Deleted and re-downloaded it and still stuck at the same place. I don’t know if it’s a bug or something but I feel like I should be able to re-position someone. Now because of this the game is stuck and can’t continue. I have seen many reviews saying this game is pay to play. But after playing parts of this game I have not spent neither one diamond nor one dollar. It’s a very enjoyable free to play game with endless adventures and possibilities. 10/10 game.